Homework: Homework assignments are due on the dates listed in the Assignments-At-A-Glance document. If there are changes to the schedule, I will announce them in class the week before the change is relevant. When you complete assignments, make sure that you save them when I return them to you. If it should happen that there is a discrepancy in your records and mine, it is easier to resolve if you can show me the homework I've returned to you. Extra Credit: If you want to earn extra credit for participating in research, make sure you read the guidelines. POWERPOINT FILES: You have access to PowerPoint files for each chapter via Sakai. They provide chapter outlines of the major points. PRACTICE TESTS: There are practice tests available on Sakai for the three tests and for the final exam. STUDY GUIDES: There are study guides on Sakai for each of the chapters we will be covering in class for the semester. This is what your research experience can lead to. Exception: During the registration period, you will need to sign up for an appointment time because I will need to meet with advisees who sign up for meetings to discuss their schedules. Because the final exam schedule differs from the regular schedule, I will be available by appointment or if you come by my office and I am available. Contact Christie if you would like additional help with course material. In this course, you will learn how to understand, evaluate, and carry out research. This means being able to determine the adequacy of research you encounter as a consumer, setting up the rationale for a research project, creating a competent methodology, collecting data, analyzing the data, interpreting the results, and then communicating the results. There are many ways to do good research. Some of them are experimental, like much of the work done on our research teams, but there are other ways of collecting data that are useful or even preferred in some situations. Any methodology has its strong and weak points; you are going to learn about them in this class. Characterize the nature of psychology as a discipline. Identify and explain the primary objectives of psychology: describing, understanding, predicting, and controlling behavior and mental processes. Use the concepts, language, and major theories of the discipline to account for psychological phenomena. Describe the basic characteristics of the science of psychology. Explain different research methods used by psychologists. Evaluate the appropriateness of conclusions derived from psychological research. Demonstrate reasonable skepticism and intellectual curiosity by asking questions about causes of behavior. Evaluate scientific evidence for psychological claims. Tolerate ambiguity and realize that psychological explanations are often complex and tentative. word processing skills, if you don't already have them. Remember: These are all marketable skills that will separate you from the rest of the crowd applying for that job or that graduate school spot that you really want. This course requires consistent work throughout the semester. This is a skills course, which means that you will be exposed to topics that you will need to employ in other courses. The focus is on applying research techniques, so the stress will be twofold: learning about the techniques that psychologists use and actually applying them. You will learn about a wide variety of topics. As such, if you fall behind in the work, you will experience difficulty catching up. The material is not difficult per se, but it is extensive; if you have problems, make sure you see me about them. You will be developing research and problem-solving skills in this class. As such, it is important for you to abide by the ethical guidelines that researchers have adopted. In particular, all the work you do for this class must be your own. I encourage you to collaborate with others in developing your ideas, but the work you complete for the course must be your own. Passing somebody else's work off as your own is in violation with Ithaca College policies and any infractions will be subject to College regulations. If you require some type of assistance because of a disability, please contact the Office of Academi Support Services (607-274-l005; TDD: 607-274-1767. You should let me know in advance if you need special accommodations. In compliance with Section 504 of the Rehabilitation Act of 1973 and the Americans with Disabilities Act, reasonable accommodation will be provided to students with documented disabilities on a case by case basis. Students must register with the Office of Academic Support Services and provide appropriate documentation to the college before any academic adjustment will be provided. Diminished mental health, including significant stress, mood changes, excessive worry, or problems with eating and/or sleeping can interfere with optimal academic performance. The source of symptoms might be related to your course work; if so, please speak with me. However, problems with relationships, family worries, loss, or a personal struggle or crisis can also contribute to decreased academic performance. Ithaca College provides cost-free mental health services through the Center for Counseling and Psychological Services (CAPS) to help you manage personal challenges that threaten your personal or academic well-being. In the event I suspect you need additional support, expect that I will express to you my concerns and the reasons for them. It is not my intent to know the details of what might be troubling you, but simply to let you know I am concerned and that help (e.g., CAPS, Health Center, Chaplains, etc. ), if needed, is available. Remember, getting help is a smart and healthy thing to do -- for yourself and for your loved ones. Beins, B. C. (2017). 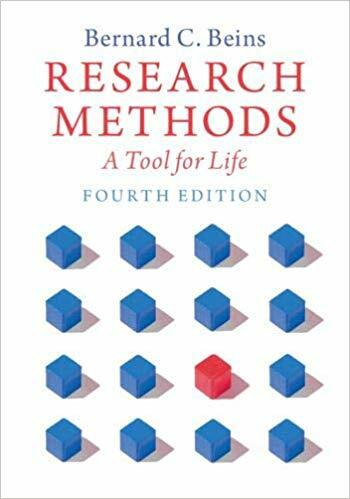 Research Methods: A Tool for Life, 4th ed. New York, NY: Cambridge University Press. We will begin to deal with the ways that psychologists ask questions and decide what to believe about human behavior. The answers are not always easy or straightforward, so we have to be careful in the way we approach our decision-making. Discussion: Ways of knowing: how do you know what you know? What do you actually know about subliminal perception? Have you listened to Stairway to Heaven? 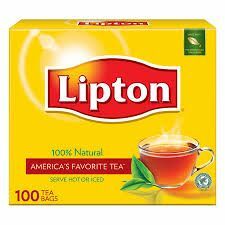 DISCUSSION QUESTION: How could you test to see if subliminal perception has an effect on behavior? Assignment: Reaction Paper: Who is happier? Reading and Topics: We will continue to talk about asking and answering psychological questions (Chapter 1). Discussion: Critical thinking: "The worst social statistic ever"
There are federal and state laws regarding ethics in research; in addition, the American Psychological Association has developed ethical guidelines. We also have the Nuremburg Code, which is an international standard for ethics in research. Activity: Please complete this survey. You can choose to include the data in the data set or decide not to. If you decide not to, simply exit the survey before submitting the data. Information on the research review guidelines from the federal government. Discussion: Francis Galton studied the efficacy of prayer in 1872. Does anybody study the efficacy of prayer now? Researchers ask questions that come from a diversity of sources. Sometimes an investigator will observe some behavior and wonder why it happens. Sometimes an investigator has a specific problem to solve and wants to figure out the best solution. sometimes, researchers have theories they want to test. Regardless of the origin of the question, it is important for researchers to know what others have done before them so they don't simply do studies that others have already carried out. In this chapter, you will see how ideas develop. Research involves making a lot of practical decisions in creating a sound study. You have to make decisions about your participants and subjects, how you will sample, making measurements that are meaningful, and deciding on an overall approach. TEST #1 (Chapters 1-3) is on Tuesday, February 26. When you conduct any research, you have to figure out what you are going to measure and how you will be measuring it. In psychology, we regularly make use of operational definitions, which stand in for variables that we aren't able to measure directly. The issues that we have to deal with include exactly what we intend to measure (and how), along with the question of validity of our measurements. Experimental approaches in research dominate psychology. We use experiments because they let us investigate and understand the causes of behavior. in order to have confidence in our assessment of causation, we have to consider a lot of detail in setting up our research so that we can draw unambiguous conclusions. Behavior is complex. As a result, the studies we plan need to be complex. However, it sometimes makes sense to start with simple designs. In this chapter, you will learn about experimental designs that involve one independent variable. The simplest experiment involves two groups, but we seldom use such a simple design. More often, we investigate multiple groups and/or multiple independent and dependent variables. TEST #2 (Chapters 4-6) is on Tuesday, April 2. Because behavior is complex, our research designs end up being complex, too. There are many different ways to design studies so that we can assess the effects of more than one variable on behavior. This approach is important because, in life, more than one variable is going to influence what we do and how we think. One of the most ubiquitous forms of research is the survey. Although it is common and we tend to take them for granted, survey research is very difficult to carry out well. Identifying your population, then your sample, can be hard. Developing well worded questions is always problematic. In addition, respondents bring their own idiosyncrasies to the situation. Surveys can be very useful, but they must be done well if they are to provide good information. The wording of the questions is important and poses the greatest challenge in creating a survey. How you word your questions shapes the answers you get. If you want to get the most useful information, you need to pay attention to how your construct your questions. Researchers have identified important issues in creating survey questions. Another critical aspect of conducting survey research involves the question of how you will administer the survey. There are advantages and disadvantages to any approach you take. Reaction Paper: Epidemic of Narcissism? TEST #3 (Chapters 7, 8, and 10) is on Tuesday, April 23. Sometimes research questions are too complex to be handled easily by experimental research. At other times, it may not be feasible or ethical to do experimental research to address a question. In these instances, correlational research can be very useful. Correlations don't let us assess causation, but they let us see patterns of behavior and predict them, even if we don't know the causes of the behavior. 8:00 Section: Tuesday, May 7, 7:30 to 10:00 a.m.
9:25 Section: Friday, May 10, 7:30 to 10:00 a.m. Note: There will be no makeup tests. On the final exam, you will be able to substitute your score on final exam questions relating to any tests you missed. If you have missed a test, you will have to substitute the score on those final exam questions for that test. If you have taken all of the tests, you have the option of replacing any test scores you want to. It is optional; you do not need to make such a substitution. Note: Late homework is subject to a penalty of 10% deduction per day. (This means that if you hand in your paper one day late, your grade will be your earned score x .90; two days later means your grade will be your earned score x .80, etc.) If an assignment is due on Tuesday but you do not have it to hand in, you need to give it to me by Tuesday morning of the next week. If the assignment is due on Thursday, you have until the following Tuesday morning. After those times, you will receive a grade of zero for that homework assignment unless you have made other arrangements with me. Late reaction papers will receive half credit. Any late reaction papers need to be handed in by the day of the next class meeting. In addition, if you turn in handwritten homework assignments, there will be a 20% penalty in your maximum grade. PLEASE KEEP YOUR SCORED HOMEWORK THROUGHOUT THE SEMESTER. IF THERE ARE ANY DISCREPANCIES BETWEEN MY RECORDED SCORES AND YOUR SCORE, IT WILL BE EASIER TO RECONCILE. You can get extra credit for this class in four different ways. 1. 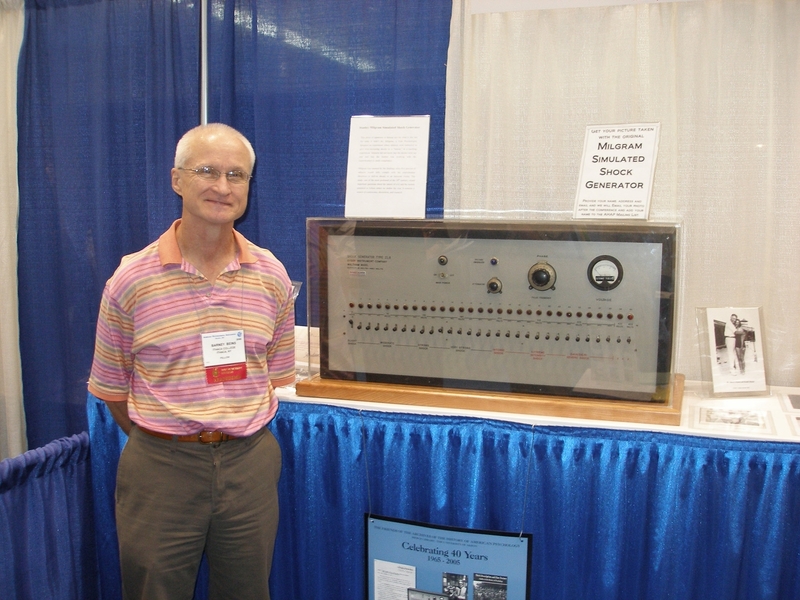 You can participate in an approved experiment within the Psychology Department. After participating, you need to write a summary of what you did in the study, what methodology they used, and what statistical analysis they will perform after collecting the data. You also need to indicate what, if anything, you got out of this research participation. (Please note: You do not have to say that you learned a lot, or even a little, from participating in a study. I seriously want to know what you got out of the experience.) If you do not hand in your responses to the points below, you will get one point for participation in the study and will not earn the maximum of two points. These are the elements you must include in your summary of the study. (c) Why did you think about the way the study was conducted? Did you learn anything? What was it like to participate? 2. You can read and summarizing an approved journal article from a psychological journal. There are a few elements you must present. (a) You need to explain why the researchers did their work, (b) how they did it, (b) what statistical analysis they performed, and (d) what they concluded. You also need to indicate (e) how easy or difficult it was to understand the article and explain yourself. 3. You can bring a summary of a report in the popular media (e.g., magazine or newspaper article) that relates to the kind of research we deal with in class. Your written report should include what the research was about, what methodology they seem to have used, what the researchers concluded, and what additional information you would like to have seen in their news report that wasn't there. When you are ready to submit your information, put your summary in the dropbox in Sakai. 4. If you write an exceptionally astute answer to a quiz question, I may award an extra point. This is a rare event, but each semester a few students write answers that are so remarkable and go so far beyond a minimal answer that I feel it deserves extra credit. In those cases, I will award such credit. The extra point(s) will be added to the test, not to the final exam like the first three extra credit options. Each activity (#1-3) will be worth a maximum of two percent on your final exam grade, with a maximum of ten points allowed. This means that you can participate in five studies for extra credit. Before doing any extra credit work for the second or third options above, you must check with me in advance so that I can assess its suitability. The credit you earn for each one will depend on the quality of your write-up. Please note that you are not guaranteed two points per attempt; part of your score depends on the quality of your answers. If you do not write up a description of your participation, you will receive one point for participating. All extra credit submissions must be in the Sakai dropbox by the end of the day on Monday, May 6. Mid-Term Grades Due (Online) 10:00 p.m.
Block I Final Grades Due (Online) 10:00 p.m. Final Examinations Begin 7:30 a.m. Final Examinations End 10:00 p.m.
All Final Grades Due (Online) 10:00 p.m.